The icons of 90s rock hit the road together once again! 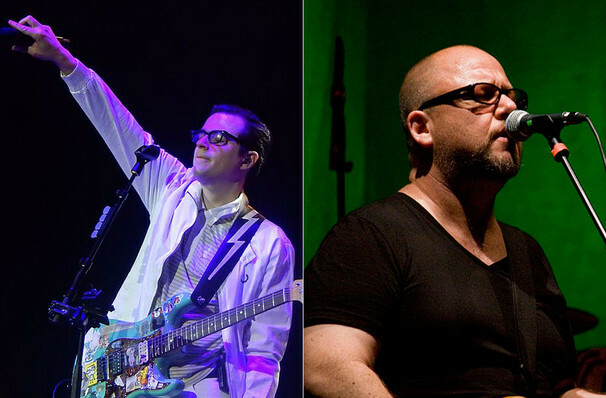 Why See Weezer and Pixies? Rock music today would have been very different without these two. Pixies proved to be one of the most influential outfits of the late 80s and early 90s, their soft/loud song structures, pyschosexual lyrics and lead singer Frank Black's animalistic howls gained them an obsessive cult following. Weezer arrived in all their fully-formed, geeky rock glory with their 1994 self-titled debut, which contained the now-classic tracks 'Buddy Holly' and 'Say it Ain't So'. More than two decades later, both bands are still going strong, and they've joined forces for this mammoth US tour. Catch them playing cuts old and new when they play near you soon! Sound good to you? 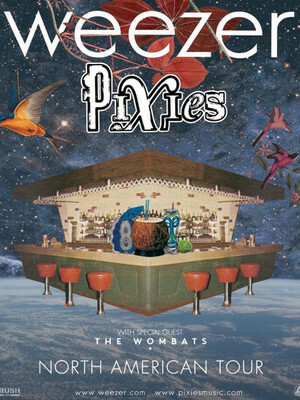 Share this page on social media and let your friends know about Weezer and Pixies at Bank Of Oklahoma Center. Please note: The term Bank Of Oklahoma Center and/or Weezer and Pixies as well as all associated graphics, logos, and/or other trademarks, tradenames or copyrights are the property of the Bank Of Oklahoma Center and/or Weezer and Pixies and are used herein for factual descriptive purposes only. We are in no way associated with or authorized by the Bank Of Oklahoma Center and/or Weezer and Pixies and neither that entity nor any of its affiliates have licensed or endorsed us to sell tickets, goods and or services in conjunction with their events.